You’re unlikely to get scams and issues from local referrals because they’re familiar with local building codes and regulations. Local Orlando roofers also have a good relationship with genuine construction material suppliers, and thus, there will be no possible rip-offs. It’s recommended to get at least two quotes before choosing your roofer. Automatically reject any roofer who is not licensed. However, not every licensed contractor should be your best catch. License requirements are generally minimal, making the law to be poorly enforced. Questioning the roofer’s commitment to his trade is a better test. Any licensed Orlando roofers should be a member of a trade association, Chamber of Commerce, or local organization. Being registered with a trade association demonstrates their commitment to professionalism. Require a potential roofer to provide a proof of insurance policy–for both workers’ compensation and general liability coverage. OSHA requires every roofing company to have a well laid down safety plan, so ask your contractor to produce that written document. A roofer without a training or safety plan may not be the best person you want for replacing your roof. Before hiring Orlando roofers, be sure to look them up on BBB.org. Roofers not listed on BBB website are the kind who pops up right after a storm looking for jobs, and you should stay away from such contractors. Janney Roofing Company contractors are required to maintain their BBB ratings to retain their roofing certification. Read your contract carefully before signing it. Professional Janney Roofing Company contractors will not only advise you to take your time to understand the terms of your agreement but will sit down with you and demystify all complicated parts of the document. Not every contractor out there can offer manufacturer warranties that include coverage of materials and contractor’s workmanship. Workmanship and materials should be guaranteed for at least five years, and the roofing system 20 to 40 years. 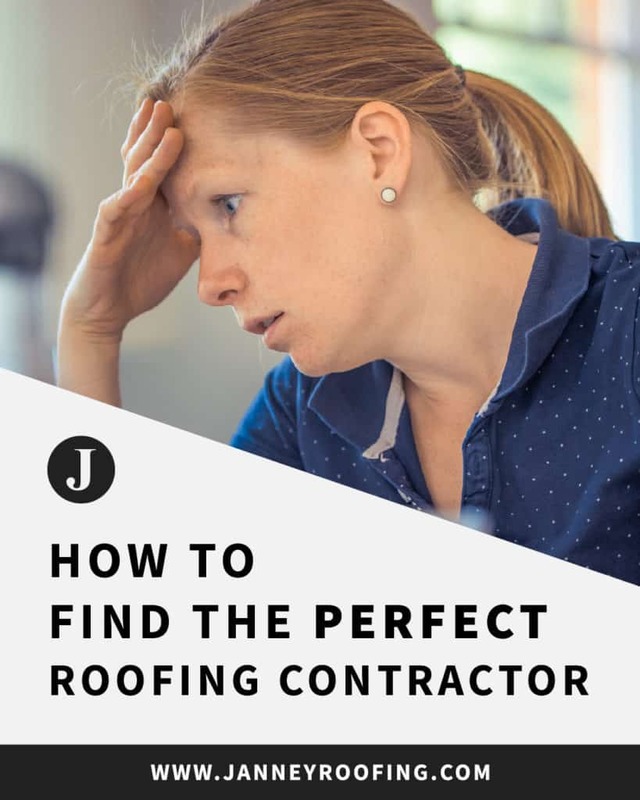 Hiring a contractor who won’t take responsibility for fixing a roof that they didn’t do correctly leaves you with only an option of paying for the mistakes done. Janney Roofing Company offers contractor’s workmanship with the longest term possible. Be wary of those contractors who want you sign a roofing contract even before your insurer has estimated the damage. A roofer who can be trusted will ensure that their insurance adjuster didn’t miss any damages. When choosing the best of Orlando roofers to work for you, the price is only one of the criteria for selection. Consider the above factors to help make a sound choice. Janney Roofing upholds high quality and integrity, making them reliable and trustworthy. 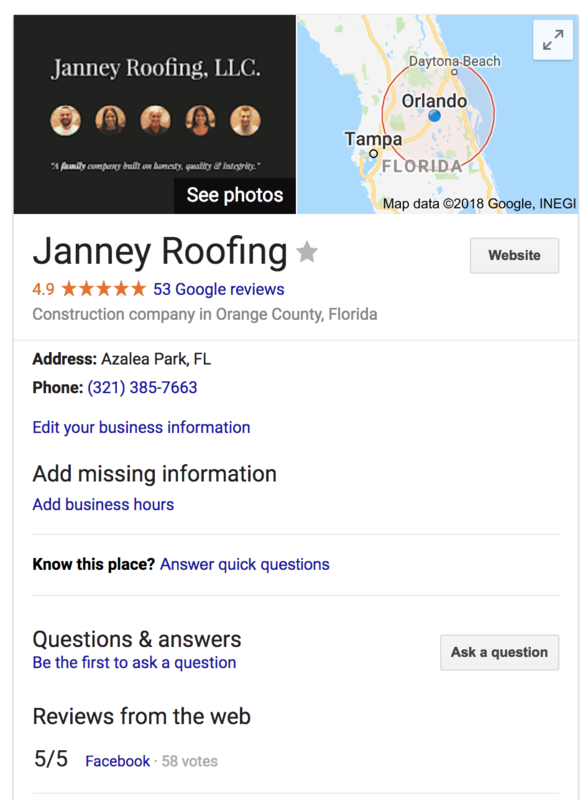 If you’re looking for licensed roofers in Orlando who are insured and bonded, Janney Roofing suffices.